→Spinning Reel Maintenance: How to Clean and Lubricate? The modern spinning reel is incredibly robust and can take a beating. But unless you want to shell out cash to buy a new one more often than you’d like, there’s some ongoing maintenance you’ll need to perform to keep it running smoothly so it lasts as long as possible Luckily, spinning reel maintenance isn’t difficult if, you know the right steps to take. And that’s exactly what you’ll learn in this article — how to clean and lubricate your spinning reel the right way. But before we get into how to take a spinning reel apart and lube up its gears and bearings, let’s talk about what you can do after every fishing trip to take great care of your spinning reel.Quick Tips for Post-Fishing Trip Spinning Reel Maintenance Unless your spinning reel is fully sealed, it’s possible for water and grit to get inside your reel and cause serious damage. To prevent long-term rusting and corrosion, one of the best things you can do is give your spinning reel a quick cleaning after each time you go fishing. Start by removing your spinning reel from the rod and loosening the drag all the way. 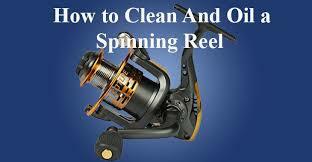 Get a soft cloth damp with fresh water and wipe off all dirt and grime present on the exterior of the reel. Running water can be helpful to remove built-up dirt or sand, but be careful and don’t use too high of water pressure as the water could push the dirt deeper inside the reel — use the sink rather than a hose. Use a dry cloth to dry the reel thoroughly. While you don’t need to do this after every trip, it’s beneficial to give your reel a light spray with WD-40 or similar solvent. Spray a few quick squirts and take care to avoid getting any solvent on the line. Wipe the reel with a soft cloth to distribute the solvent and remove any excess. Taking this step every few trips will help repel water and grit off your reel — just don’t over-do it as to could build up a residue that can attract dirt. Re-attach your reel to the rod when you’re done, so it’s ready for the next trip!How to Clean and Lubricate the Interior of Your Spinning Reel Cleaning your spinning reel after every fishing trip goes a long way to keep it in great shape, but it’s no substitute for the occasional deep-cleaning and lubrication. Step 1: Get Organized With all your tools and supplies gathered it’s time to get organized to start taking apart your reel. Spinning reels consist of many small parts that are all important — they’re also very easy to lose. The best way to keep everything organized is to spread out a mat or towel over your work area. Then, stick a long piece of masking tape onto the mat. As you start taking your reel apart, you’ll lay each part next to the strip of tape and label with a number — 1, 2, 3, 4, 5, etc. That way, when you go to put your reel back together, you’ll know the exact order in which you took the reel apart, so every part is put back where it needs to be. Step 2: Take the Reel Apart Piece by PieceStart with a clean reel. If it’s not clean, use the steps outlined above for post-fishing trip cleaning to get it nice and sparkly. Then it’s time to use your screwdrivers, wrenches, and tweezers to start disassembling your reel one part at a time. Since every spinning reel is slightly different, there isn’t a single right way to do this. As long as you take it apart in a way that makes sense to you and label the parts on your mat as we mentioned earlier, you’ll be able to put your reel back together at the end. One universal tip that does apply to all spinning reels, however, is to secure your fishing line before removing the spool to avoid chaotic line tangles. Use a piece of masking tape to secure the line on the spool or remove the line altogether and store it on a separate spool. Another tip is to use tweezers to remove any small parts — particularly wire clips and springs — which can shoot across the room if you aren’t careful. Step 3: Clean All Reel Parts Thoroughly Once you get your spinning reel disassembled, use a toothbrush and Simple Green to clean each part. Your goal is to remove as much residue on the parts as possible. Take your time. 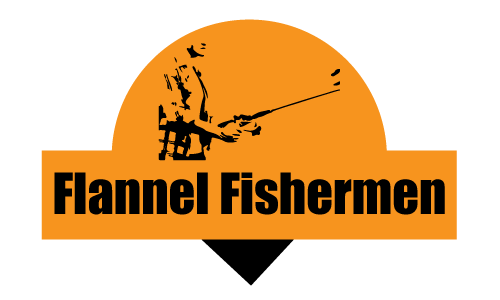 Your effort of scrupulously scrubbing each part will pay off big time when your reel casts as good as new. Step 4: Grease the Gears With the reel parts clean, use a toothpick to apply a light coating of grease to the gearing inside the reel. Only apply grease to the lower set of gear teeth; applying grease to the upper teeth will likely spread the grease to the other parts of the reel. Step 5: Clean and Oil the BearingsThe bearings of a spinning reel keep it cranking smooth, but if they aren’t clean, the reel will feel like a coffee grinder. While there are some specialty bearing cleaning solutions on the market, basic lighter fluid does a great job and won’t damage the bearings. Use a brush to scrub the bearings with the lighter fluid and spin them to ensure they’re clean. If they don’t spin, keep scrubbing. With the bearings nice and clean, use a toothpick to apply one or two drops of TG’s Rocket Fuel or similar reel oil to each bearing. Step 6: Reassemble ReelWith everything cleaned and lubricated, you’re almost finished! Reassemble your spinning reel going down the line of parts one at a time until everything’s put together. If you get confused on where specific parts go, consult the explosion diagram included with your reel. Clean Spinning Reels are More Fun to FishThis spinning reel maintenance procedure might seem time-consuming and tedious, but if you do it once a year, your reel will last a long, long time. And you’d be amazed at how much better a clean, well-lubricated spinning reel casts and brings in fish, which adds up to a more enjoyable experience on the water.